UNSW Security works hard to ensure that the campus is a safe place for everyone, especially after dark. Students also need to be aware of their personal safety. To help ensure you stay safe on campus, read the important information on the Campus Safety and Security web page. It offers access to volunteering, and leadership opportunities. The Hub is also a great place relax and meet people. Connect to UniWide, the UNSW Wireless Network, from your laptop or mobile device. The Learning Centre assists students with academic writing, communication skills and assignment preparation. To access online resources at UNSW, students need a UNSW ID (student number), a Password and a UNSW email account. When agreeing to the Student Code you agree to protect UNSW ICT (Information, Communication and Technology) systems, information and accounts by using your access only as authorised and keeping your account details confidential. An example of inappropriate use is using another’s User ID and/or Password, or allowing others to use yours. Misuse of ICT resources by students will attract penalties. Refer to the Student Code Policy for details. Balance your studies with fun and entertainment through Arc, your student organisation. UNSW YouTube, the e-learning channel, lets you watch lectures for courses, view course content and related material, and participate in group activities. theBox is UNSW Australia's online media management service, which allows you to manage and share audio/video/images and documents directly within Moodle and on other websites. 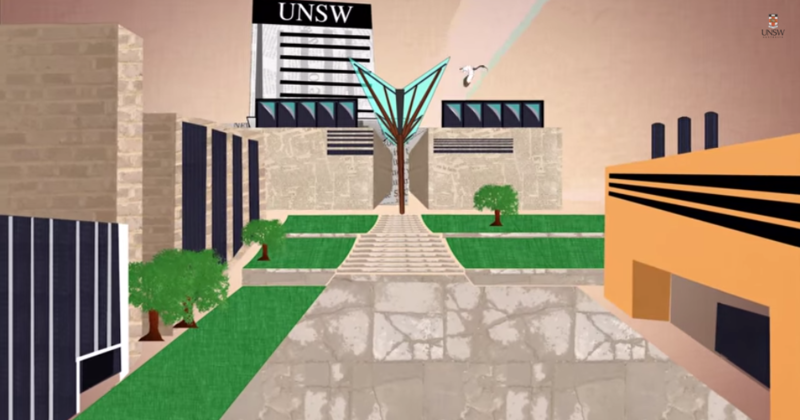 Videos for students by students, introduce you to UNSW from a student's perspective.